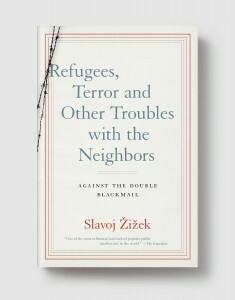 Called “the Elvis of cultural theory” by the New York Times, popular philosopher and leftist rabble-rouser Slavoj Žižek looks at one of the most desperate situations of our time: the current refugee crisis overwhelming Europe. 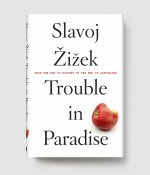 In this short yet stirring book, Žižek argues that accepting all comers and blocking all entry are both untenable solutions… but there is a third option. Today, hundreds of thousands of people, desperate to escape war, violence, and poverty, are crossing the Mediterranean to seek refuge in Europe. Our response, from our protected Western European standpoint, argues Žižek, offers two versions of ideological blackmail: either we open our doors as widely as possible, or we try to pull up the drawbridge. Both solutions are bad, states Žižek. They merely prolong the problem, rather than tackling it. The refugee crisis also presents an opportunity, a unique chance for Europe to redefine itself: but for this to happen, we have to start raising unpleasant and difficult questions. We must also acknowledge that large migrations are our future: only then can we commit to a carefully prepared process of change, founded not on a community that sees the excluded as a threat, but one that takes as its basis the shared substance of our social being. The only way, in other words, to get to the heart of one of the greatest issues confronting Europe today is to insist on the global solidarity of the exploited and oppressed. Maybe such solidarity is a utopia. But, warns Žižek, if we don’t engage in it, then we are really lost. And we will deserve to be lost. SLAVOJ ŽIŽEK is a Hegelian philosopher, Lacanian psychoanalyst, and political activist. 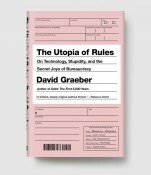 He is international director of the Birkbeck Institute for the Humanities, and Global Distinguished Professor of German at New York University. He is the author of numerous books on dialectical materialism, critique of ideology and art, including Event and Trouble In Paradise, both published by Melville House.